A RATHER drab and uninspiring final with Biarritz able to ensure their Heineken Cup qualification thanks to the boot of Dimitri Yachvili in wet conditions at the Stoop. 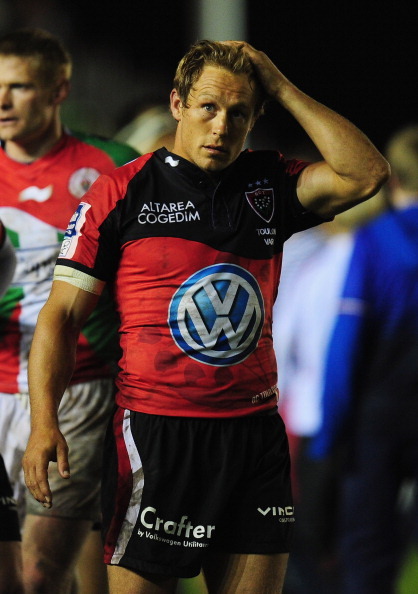 They were fortunate, however, that Toulon couldn’t get the ball to Jonny Wilkinson in the final minutes or he could have slotted another of those drop-goals to take the game into extra-time. The officials’ failure to spot Yachvili’s professional foul on his opposite number Sebastien Tillous-Borde in the final ten minutes meant Toulon were not awarded a justified penalty – and perhaps a one-man advantage if the yellow card had been brandished – that would have taken them into the lead. 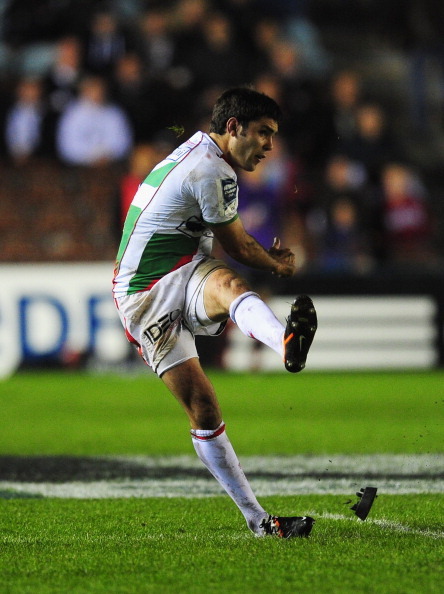 Instead, play moved back into Toulon’s half and Biarritz slotted the penalty that gave them the victory. Dimitri Yachvili is the heartbeat of this Biarritz side and his boot not only contributed all of his side’s 21 points but kept Toulon pinned back in their own half, especially in the first period. His raking kicks kept the pressure on Toulon and le petit general again inspired his team to victory. Just a hint of creativity would have sparked this game into life. Yes, the conditions weren’t the best and the game was very stop-start with errors and penalties, but it would have been nice to see either team keep the ball in hand on an occasion or two rather than resorting to relentless ping-pong. Toulon need to look at their discipline, indiscretions giving Yachvili plenty of chances to kick at goal and resulting in two of their players being sent to the sin-bin. If they want to keep their Top 14 title hopes alive, they will need to tighten up ahead of next weekend’s play-off against Racing Metro. BIARRITZ: Iain Balshaw; Taku Ngwenya, Jean-Pascal Barraque, Damien Traille, Dane Haylett-Petty; Julien Peyrelongue (Marcelo Bosch 73), Dimitri Yachvili; Yvan Watremez (Sylvain Marconnet h-t), Arnaud Heguy (Benoit August 71), Eugene Van Staden (Francisco Gomez Kodela 60), Jerome Thion (Erik Lund 71), Pelu Taele, Wenceslas Lauret, Benoit Guyot (Talalelei Gray 51), Imanol Harinoroquy (capt). TOULON: Benjamin Lapeyre; Alex Palisson, Mathieu Bastareaud, Matt Giteau, David Smith; Jonny Wilkinson, Sebastien Tillous-Roberts; Eifion Lewis-Roberts, Sebastien Bruno (Jean-Charles Orioli 51), Carl Hayman, Christophe Samson, Kris Chesney (Dean Schofield 58), Pierrick Gunther, Steffon Armitage, Joe van Niekerk (capt). Pens: Wilkinson 5. DG: Wilkinson. Sin-bin: Hayman (46min), Armitage (53).